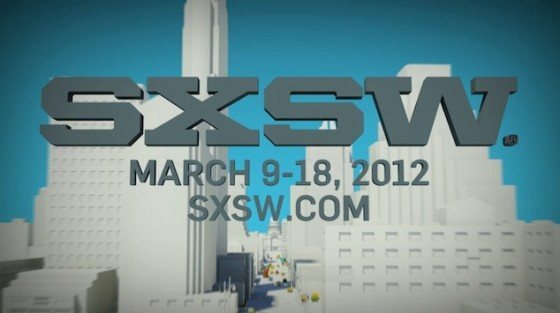 Two exciting press releases have come out of SXSW the past few days as the group has announced its final selections for featured panels and speakers (with health care thought leaders making a proud showing) and the SXSW Startup Accelerator will be held March 12 & 13. The few details released on the Accelerator were that March 12th will feature 48 companies battling it out for a spot in the top 18 and an invitation back for the 13th and a final once or twice over by judges and attendees before a best in show award(s) will be given. For more information about how to get your startup into the Startup Accelerator see SXSW’s website. The health technology category is about patient-centric health apps and technologies that connect patients, families, physicians, pharmacists, care providers – aka the care team – to share timely, relevant health data and drive better outcomes at affordable and sustainable cost levels. Below you can see the health care related participants and abstracts for the panels and presentations at the conference. From high-tech to high-touch: are wired hospitals becoming disconnected with patients? This distinguished panel of nationally-recognized researchers and leaders in healthcare has applied technology solutions to enhance quality of patient care across distinct disciplines within their respective fields. Dr. Joseph Kvedar, Director of the Center for Connected Health will discuss the progress made in the field of telemedicine and its impact on increasing access to healthcare in rural areas. Dr. Kvedar will also examine the impact this technology has on quality of care and discuss its future role as the healthcare market evolves. Dr. Angelo Volandes’ work is focused on exploring the role of visual media in medical decision-making. Dr. Volandes will discuss the impact visual media can have on patient decision-making versus patients interacting directly with their providers and being verbally told about their options for end-of-life care. Paul Griffiths, CEO of MedTouch, will examine the impact the internet, social media, and patient portals has had on the healthcare marketplace and discuss how these methods of communication with the patient can be coordinated to enhance the overall experience. Crowdsourcing a Revolution: Can We Fix Health Care? Healthcare is 18% of US GDP and will be 37% by 2050, if nothing changes. We must reinvent how we deliver healthcare. In the past year, prizes and challenges have come in to vogue in the health sector. Prizes and challenges have a long history of benefiting humanity and driving major breakthroughs, for example a prize was used to incentivize the first flight across the Atlantic. Prizes are effective at crowdsourcing innovation, accelerating progress, and attracting new talent. Some of the leading prize evangelists will describe their platforms from big dollar prizes to more modest amounts along with lessons learned. The XPrize Foundation is launching a bid to fund a $10M XPrize for a Tricoder device; Health 2.0 has launched over 25 challenges with over 150 teams; NASA has built an open innovation strategy for health, and the government is seeding grand challenges for global health. We are in the early stage of challenges for health and most are focused on apps, games, and data visualizations. Come hear how we can use challenges to fix healthcare, spur new business models, and avoid prize and app fatigue. Cancer care and support is changing dramatically as blogging, social media, facebook and mmo gaming become mass media. Trisha Creekmore, aka Tinkerhell, a mother, wife and digital denizen since 1995, has had breast cancer twice. The first diagnosis in 2004 was hard and lonely. The second diagnosis in 2010 was harder, but not lonely. Trisha and her husband David found the content on health Web sites unhelpful and online disease-specific support groups depressing. So they made up their own plan, harnessing the power of facebook, the mmo Warhammer and thousands of strangers to create Cancerpalooza. David blogged every week. His plan was to keep family and friends informed, but the blog and the community it created became much more than the sum of their parts, inspiring and bringing value to complete strangers, the entire mmorpg community and even rockstars like Mike Patton and Ozzy Osbourne. But not in an annoying social-media-positive-sharing way. More in a FML-WTF-LOL way. Electronic health records have the potential for enormous good, but in order for them to live up to their full potential, all that information about patients — their symptoms, diagnoses, allergic reactions, medical backgrounds, family histories — must take the form of standardized, structured, easy-to-manipulate data. The most obvious way to get there is to standardize and structure the way that doctors create the medical record. As a result, physicians are under increasing pressure to abandon unrestricted natural language and the clinical narrative, and turn the medical documentation process into a jungle of pull-down menus, checkboxes, and restricted vocabularies. In this presentation I argue that the results could be catastrophic, I make the case for preserving the clinical narrative, and I argue for a practical way out of the dilemma: using natural language processing technology to translate from unrestricted dictations to structured documentation. Raja Rajamannar – Humana Inc.
Christine Robbins – Body Media Inc.
There’s no secret behind what makes for healthy living. Don’t smoke, eat right, and get some exercise to start. The problem is, being healthy feels a lot like work. So our core question: How can we make healthy behavior as seductive as a kiss or as addicting as a bag of potato chips? Once you go in for one, you can’t stop. This panel will shed light on what’s working – and what’s not – when it comes to using interactive tools to turn good health habits into actions people crave. We’ll explore the role of rewards and recognition; the forces such as love and fear; and the effectiveness of fun, enchantment and ambient integration. More specifically, we’ll take a close look at innovative programs that are helping to change people’s engagement in their health, and drive new habits; and we’ll also explore the successes of non-health programs such as Angry Birds for how we can translate their stickiness to health. And then we’ll talk about what happens when the “game” is over. Do people relapse? How can that be prevented – if at all? As more and more patients begin using social media as an information source and a support network, it’s inevitable that they’ll begin to interact with representatives of pharmaceutical companies looking to use new technologies to inform and educate. While consumer-industry interactions are not new — Comcast crawls Twitter for those in need of tech support, and Gatorade sends electronic high-fives to high school athletes — links between drug companies and those they serve are more fraught, with some patients celebrating dialogue and others warning that such relationships are intrinsically inappropriate. This panel — including patients, advocates and industry — will explore the ground rules of “friending” big pharma and the ground rules that biopharma firms must play by to ensure patients aren’t taken advantage of. In this presentation I will tell the story the Scratch Online Community, a website where kids from around the world create, share, and remix their own animations and video games by mashing up images, sounds and visual programming blocks. Today, about one million people have registered on the website and collectively shared two million interactive media projects (about 1 project every minute). I will describe the design decisions, experiments, successes and failures, that went into building this unique community of young creators. I will present a general framework for the design of creative online spaces that support social creativity and social learning among novices. Initiated by the US Air Force Medical Services, the Federal Health Futures Group has brought together the Surgeon Generals of the Army, Navy and Air Force, the Deputy Surgeon General of the United States, the Veteran’s Administration and many departments within the Health and Human Services Agency to identify ways in which Health and Health outcomes can be dramatically improved. In exploring the idea of “Health as a Team Sport”, members of the Health Futures Group joined forces with game designers to explore games can help improve public health and create the environment within which individuals can thrive in good times and bad. Multiple dimensions were explored. At the individual level: Getting more exercise, improving diet, dealing with illness, preventing disease, recovering from trauma and illness. At the team level: Coaching groups of health professionals to work together amongst themselves to increase health, recovery, thriving. In the community: In improving teamwork and collaboration between the formal healthcare and the informal family and friend networks. At the government level: to improve the impact and effectiveness of policy, research and regulation. This interactive panel will include a thorough discussion of the games designed to meet these challenges, the results obtained thus far, and identify specific future steps that the panelists could take to better leverage games in improving Health outcomes. As boomers age, healthcare’s in a nutcracker: a surging population of elders waits to be served by a rising shortage of doctors and nurses. It will be a healthcare famine – extremely unpleasant for all involved – if we don’t change things fast. We must empower patients and families to do more themselves. That’s the point of the e-patient movement – Empowered, Engaged, Equipped, Enabled – identified in the 1990s by Austin resident “Doc Tom” Ferguson MD. The internet is a massively useful resource for healthcare, IF we use it well: it can connect us with others who share our needs, and with invaluable medical information – sometimes information that our own doctors haven’t seen, because they too are overwhelmed by an information explosion. We can help. Yet we’re not only ignored by most of healthcare, we’re often discouraged from applying our minds and energy to helping the cause. This talk lays out the evidence that patients CAN contribute value, and healthcare MUST accept it – urgently. Jim Bower – Numedeon Inc.
A recent article in Health Affairs titled: “Games for Health: the Latest Tool in the Medical Care Arsenal” stated that “computer-based simulations and interactive programs are introducing a powerful new force in health care: FUN”. At the same time the article also noting that “new tools in health care are proliferating like viral spoors in a virtual pond.” While there is a growing proliferation of stand alone health games, this panel will consider the specific use of health games embedded in persistent avatar-based worlds where users manage the health and well being of their avatars as virtual substitutes for their own health and wellness. The panel will present actual data from use cases ranging from tweens to boomers, including what evidence is available to suggest that virtual behavior crosses into behavior in the real world. The panel will also discuss how new mobile health devices are likely to contribute to the blending of virtual and real worlds. We’ll let you in on a secret: Socially Transmitted Data (STDs) are good for your health. Updating Twitter, searching for information on Google, texting your friends, and carrying your mobile phone – these activities may hold the key to preventing your next cold or knowing when flu will be keeping the kids at home so you can get them Echinacea and call the sitter in time. In this panel, we’ll discuss how the data you leave in your wake, every day, holds within it vast opportunity to predict and even improve personal and public health; and we’ll delve into some of the latest research and tools that are helping uncover what’s possible. Do you want to know when the next bug will be wafting through town? Is your partner depressed but not aware what’s wrong? Your twitter feed, mobile location traces, search queries, subway travel patterns and even buying behavior may hold the answer. The common denominator: These non-traditional passive data offer tremendous scale that simply doesn’t exist with any other physiological health sensor. They give us clues about our personal and collective health behavior, and help health care professionals and health organizations better serve the public. It is important to note, that while some are excited by these prospects, others cry “big brother”. So we’ll discuss privacy implications too. Should you pick your doctor the same way you pick where to eat dinner? We are all consumers of health services. Our culture is exploding with information sharing and reviewing of services, and businesses are feeling anxious about the power of social media to damage their reputation. Yet the difference between which pizza to order and which plastic surgeon to trust is more than mere matter of words. Plus, as the numbers of angry and anonymous reviews grows, contentious battles are forming between healthcare providers and their patients, giving rise to an entire industry devoted to defending online reputations and fighting back against bogus posts. So what is the healthy balance? This panel will explore the legal rules at play (including copyright, free speech and patient privacy), the ethical obligations of healthcare providers (including confidentiality and the Hippocratic oath), and the innovative practices being developed in response. More than 500,000 babies are born prematurely and an estimated 28,000 children die before their first birthday each year in the U.S. Text4baby, the first free health text messaging service in the U.S., addresses this issue by providing pregnant women and new moms accessible, relevant health information—via text messages. Well on its way to 1 million subscribers, text4baby was created, launched and promoted by an unprecedented, public-private partnership. Over 85% of Americans own a cell phone and 72% of cell users send or receive text messages. Yet, the power of these devices as behavior change tools is just being uncovered. Much attention goes to smart phone applications, yet the health needs of low-income and under-served populations are often most pressing. Everyone has a vested interest in child health, yet few programs have garnered support like text4baby. What are the lessons of text4baby? And, how can tech, public health, and employer communities learn from its success? Study after study has shown that most people won’t change their behaviour even under threat of pain and death. When it comes to our health, our judgment and decision-making are clouded by our “hard wired” cognitive biases and these biases often lead to not so great decisions. There’s also a plethora of motivational barriers that we need to overcome. Then there’s our hard wiring circuitry, which rewards us for cake and steak. So under such herculean odds, how can something like playing games improve our health? This panel will explore how health is social and how playing games with others can keep us engaged and motivated when it comes to changing our behaviour in positive ways. Legendary CEO’s Jerry Levin and Steve Case reunite on stage for the first time to discuss health and wellness entrepreneurship. Jerry and Steve will be interviewed by futurist Esther Dyson, one of the most active health and wellness angel investors in the US. Esther will engage Jerry, Steve and the audience in a thought provoking discussion on how entrepreneurs are the solution to changing healthcare in our country and how to establish the entrepreneurship culture throughout the nation in sectors like health and wellness. They will discuss how can entrepreneurs, investors, healthcare professionals and organizations can be collaborate in this revolution. In 1997, the Lance Armstrong Foundation was created by the cancer survivor and champion cyclist to serve people affected by cancer. Now known publicly by its powerful brand – LIVESTRONG – the organization is a leader in the global movement on behalf of 28 million people around the world living with cancer. LIVESTRONG’s CEO, Doug Ulman, is one of the most followed CEO’s on Twitter with more than 1 million followers. Evolving side-by-side with social media, a large part of the success and following of LIVESTRONG comes from the nonprofit’s utilization of online networking over the years. In 2009 at the BlogWorld Conference the hashtag #BeatCancer was used to set a Guinness World Record with over 209,000 mentions in 24-hours. Cancer is the world’s number one killer globally. Ulman and LIVESTRONG continue to utilize channels of communication that will help spread the LIVESTRONG message on a worldwide scale. Proving itself a useful weapon, viral is key in the fight against the disease.